Usually even the worst competitors on Jeopardy! put up a reasonably good fight. Yesterday’s episode was not one of those times. 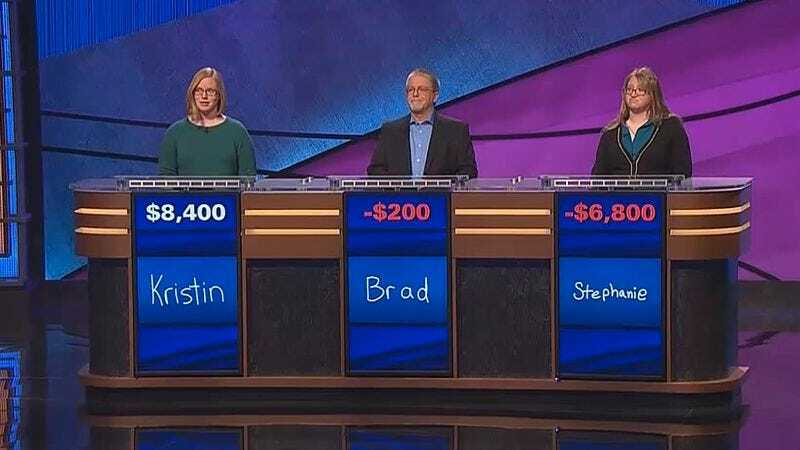 Only one competitor even qualified for Final Jeopardy last night, with the other two contestants finishing Double Jeopardy with -$200 and -$6,800, respectively. The flame out is truly impressive in the clip below, with the losing pair really just going for absolute broke as the clock whittled down. At least Alex Trebek (sort of) has a sense of humor about the whole thing. Can’t say the same for Brad and Stephanie, though.